← iBraryGuy Hits the Conference Circuit! 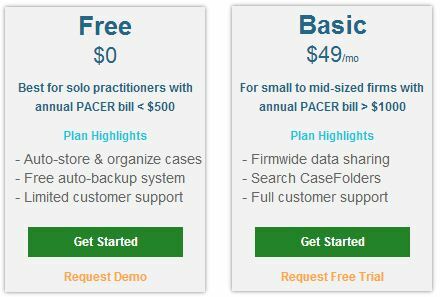 Interfacing with PACER is just a fact of life, especially for those of you working in Bankruptcy practice groups. Our country’s Bankruptcy courts, of course, are electronically accessible via PACER, and feature cases with massive dockets comprised of thousands of filed documents; many trees are destroyed during bankruptcy proceedings. So, the ability to locally store dockets and documents and keep these files organized is a Herculean challenge—in practice, most legal professionals presumably end up querying PACER over and over again, pulling the same documents multiple times. 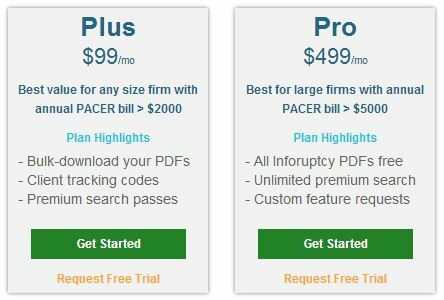 The issue with this: every time you pull a docket or document from PACER, you are charged a fee ($.10 a page, capped at $3.00 per document). It doesn’t matter if you pull the same document three times, you will be charged a fee every time you pull it. The solution: Inforuptcy. Inforuptcy institutes a cloud-based design on top of PACER’s bankruptcy dockets and documents. What this means is when a user pulls a PACER document by going through Inforuptcy, the file gets saved in Inforuptcy’s cloud and becomes accessible, for free, to other Inforuptcy users. Crowd-sourcing is a key concept in this business design: Inforuptcy’s users are responsible for pulling dockets and documents that populate Inforuptcy’s cloud with content. Users would be performing this action anyway, by querying PACER directly, so it is no added work for what they would have to do but it comes with benefits: certain documents and dockets will be free to access, and there is a high level of organization in the user interface. Inforuptcy’s interface is split up into multiple tabs. The user has the option to first search Inforuptcy for documents and dockets; if Inforuptcy has a copy, then the user can download either for free, and save the PACER charges they would have otherwise incurred. If Inforuptcy does not have the docket or document, the user has the option of querying PACER through Inforuptcy—the costs for doing this are PACER pass-through, meaning the user is being charged exactly the same as if they would if they were to use PACER directly. When a user accesses dockets and documents in PACER through Inforuptcy, Inforuptcy digests, indexes, and OCRs these particular documents, making them available to all Inforuptcy users. Due to the ingested documents being indexed and OCR’ed, users have the added capability of full text searching across all the documents stored in Inforuptcy’s cloud. PACER does not have the capability to provide this to a user. 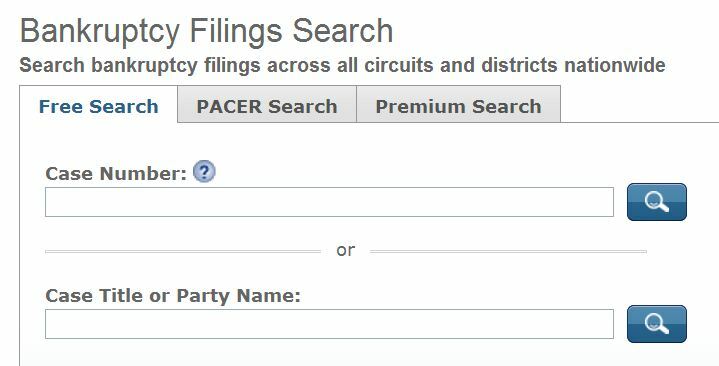 Commonly, law librarians receive research request that entail having the librarian search underlying documents in a federal case—this is impossible to do via the PACER system. Inforuptcy enables the user to be able to do this in bankruptcy documents retrieved through its system. Inforuptcy also organizes PACER’s free-view for the user. Attorneys of record on federal bankruptcy cases are sent an e-mail containing a free view of filed documents by PACER, the catch being the document can only be accessed once for free—Inforuptcy has created a process to digest and add these free views to its cloud automatically, so the user is freed from having to save and organize all these free views locally. Users of Inforuptcy will be able to access these documents quickly by clicking the Case Folders tab. Inforuptcy also tracks Chapter 11 filings by downloading the dockets of new Chapter 11 filings and absorbing the cost of doing so; these are dockets are available for free to Inforuptcy users. This entry was posted in Reviews and tagged Bankruptcy, Inforuptcy, PACER. Bookmark the permalink.